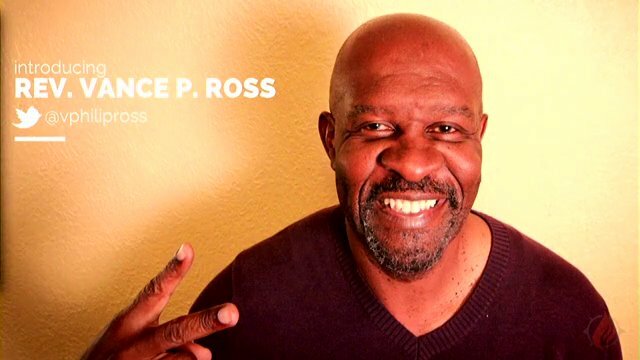 I love hearing good news about the church I love, and the best news I have received in years is the return of Vance P. Ross to the leadership of Discipleship Ministries (formerly the GBOD, formerly General Board of Discipleship). Vance is one of the brightest, deepest, truly compassionate, and insightful systems-thinkers to grace The UMC. He blends the spiritual, the practical and the prophetic as well as anyone I know. We are very lucky to have Vance back where he belongs. I am most hopeful that this heralds a return of this important program agency to a true leadership position. For well over a decade, the GBOD foundered in a reactive, disoriented, and impotent “please won’t someone tell us what we ought to be doing” mode. As I have commented before, it felt that we (I was employed there until 2009) couldn’t discern the difference between something “popular” and something “effective.” Because popular was always bright, shiny and fun, we tended to chase the popular and ignore what really mattered. With the hiring of Tim Bias as General Secretary and now Vance Ross as strategist for congregational vitality, it feels like Discipleship Ministries might be shifting in a good direction. With both Tim and Vance, you never have to worry about the mission and integrity of the church. Both men have a deep-seated passion for evangelism, and both understand that there are no simplistic answers to the complex realities facing our churches, our conferences, and our denomination. More than anything else, Vance brings an almost unknown and untapped resource to our general agencies: common sense. Vance understands the church. Vance understands people. And Vance is constantly seeking to understand God. This sounds normal, but you would be surprised at how many of our national and global leaders are lacking in one or more of these areas. If the leadership of Discipleship Ministries will both trust and listen to Vance, we all will benefit. We are in for some good times with Vance (right, doc?). He is a gifted preacher, a compelling teacher, an excellent communicator, and a really, really nice guy. Congratulations Vance! I couldn’t be happier. Well, Dan, your experience with Vance was obviously VERY different from mine! To my estimation he is the type of person we have WAY too many of in our church. Lots of flash, but little solid substance. Like too many of folks in leadership positions, I found I could not trust what he said. That’s a shame. My take was that he was not really allowed to shine his second tour of duty with GBOD. I hope others experience what I did, and few have to deal with what you did.